Studying abroad is one of the coolest periods in your life. Constantly meeting new people, exploring different cities and getting to know other cultures. You may party day in and day out – there is always something going on. Unfortunately, all these amazing experiences come after you do the stressful part: sorting through your documents, filling the paperwork or dealing with the worst part: finding student accommodation. I remember my experience trying to find accommodation in Riga, Latvia as it was yesterday. Constantly checking Facebook groups and refreshing the site so I would not miss out on new posts, messaging a ton of people while not getting any answers back. The main part of stress was the same for everyone: fear of getting scammed. Almost everyone has heard stories about students getting cheated or scammed when trying to find accommodation. It is really stressful to find good looking accommodation that has good pictures of the flat, detailed description and support if you need it. And even when you find one, there are high broker fees involved or the communication is shady. Back then I really wished that there would have been a reliable and trustworthy website where I could easily browse all the available flats, see the pictures and compare the prices. 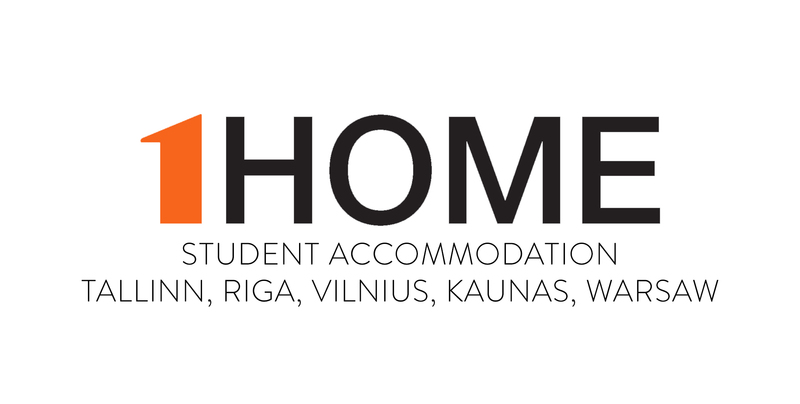 If you are looking for accommodation in Riga, Tallinn, Vilnius, Kaunas or Warsaw then luckily you have 1Home. After my experience with 1Home, I immediately wanted to help out and let people know that such a good website and company exists. Their customer support is super helpful and they really helped me feel welcomed during my stay. Everyone always says how important accommodation can be for your experience abroad. Therefore 1Home is really providing good value for all the students that are coming for their internship or Erasmus. So if you are trying to find cheap, affordable student accommodation that also has good wi-fi, heating and all the other services – 1Home really does help out. It has an easy and safe booking system with friendly customer service who are always eager to help out. Check out our rooms in Tallinn, Riga, Vilnius, Kaunas or Warsaw! Or just chill and read more in our Student Blog!